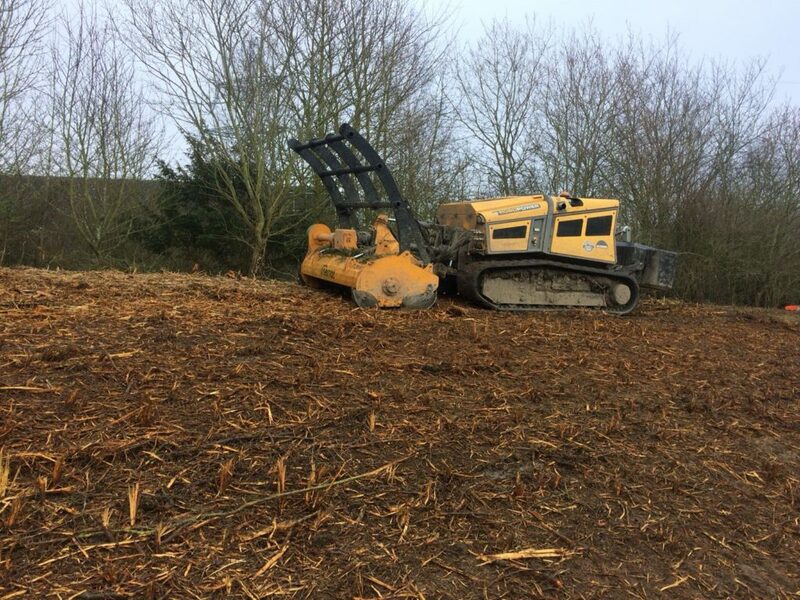 Our Radio Controlled McConnel RoboPower on site for two days working for our client RSK. 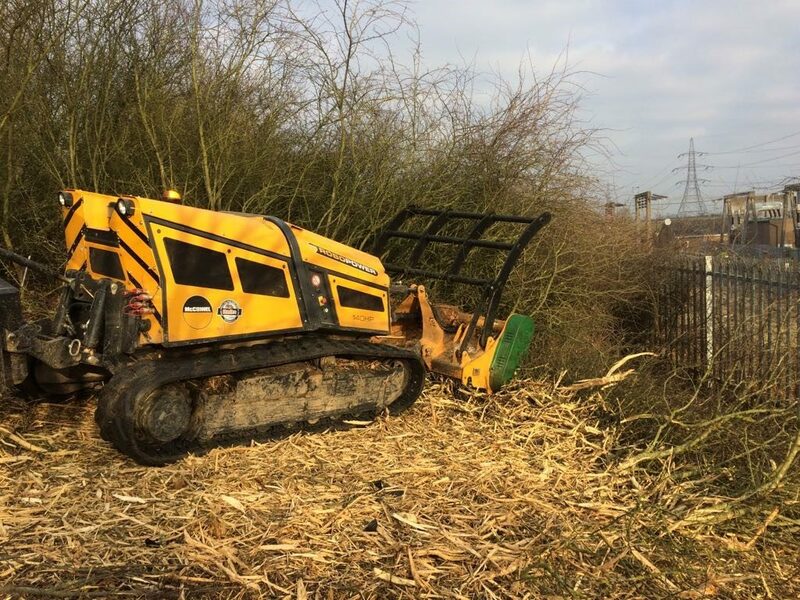 Equipped with a high-performance 140hp Deutz diesel engine, RoboPower has the working capabilities of a traditional tractor and yet its high-grip tracks, low centre of gravity, and high-stability design allow it to work safely on slopes of up to 45 degrees. 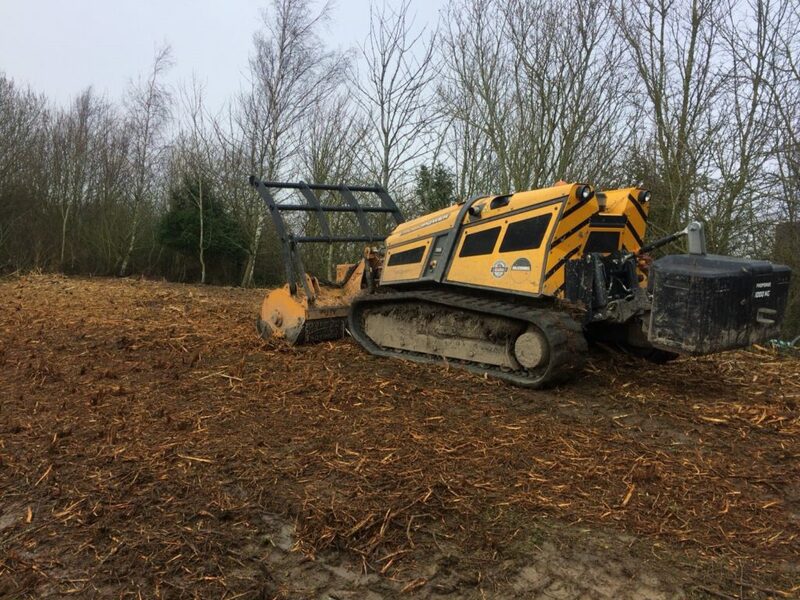 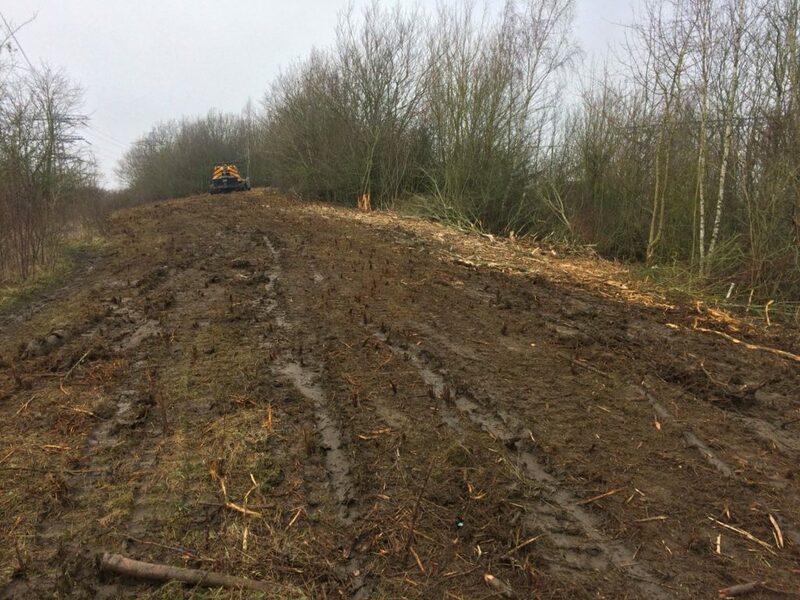 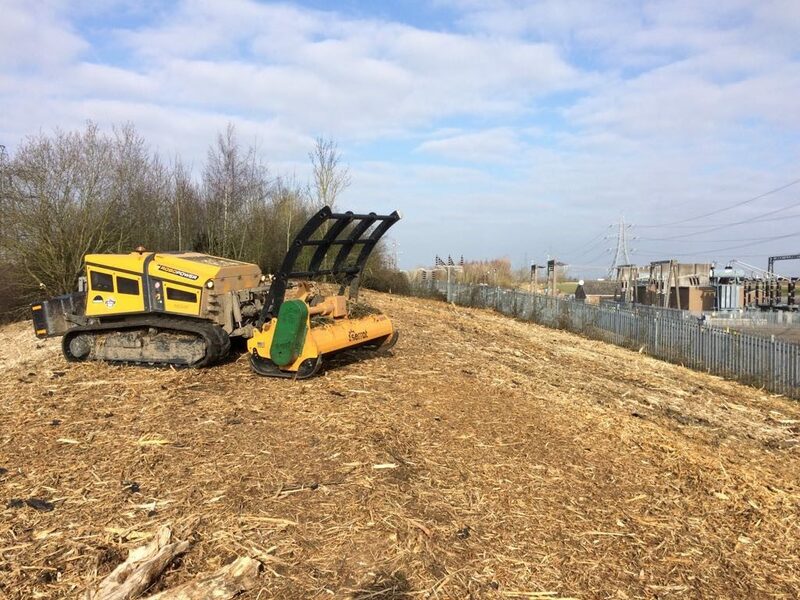 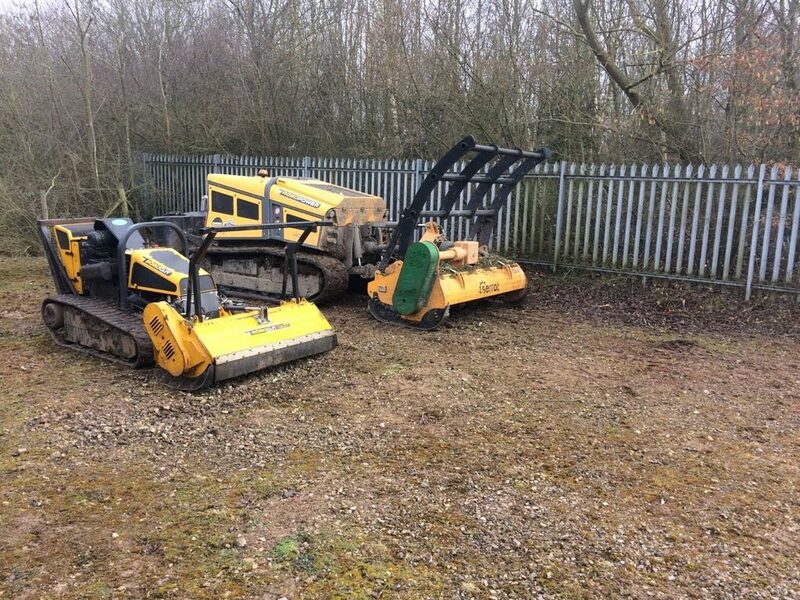 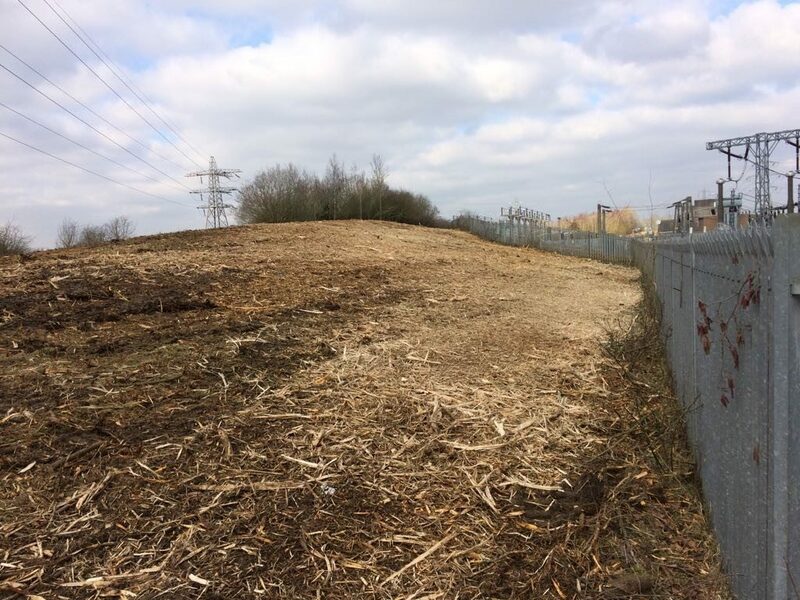 The RoboPower is fitted with a Serrat forestry mulching head, combined with the 140hp, makes light work of clearing sites of trees and brash.